BAM has many fantastic instructors who teach our lesson series and pre-dance lessons. A few of them are professional dancers, but most are highly-skilled amateurs. Below are descriptions of some of the amazing dancers who teach for us! If you're looking for someone to teach at an event, you can send specifics to a list of our amateur instructors simply by clicking here! While we can't guarantee anyone's interest/availability, these instructors have specifically expressed interest in being contacted about teaching opportunities. With never-ending energy and a fun-filled personality, BJ is always a favorite instructor with both beginner and advanced dancers. Having competed and won with the Badger Ballroom Dance Team, as well as served on BAM council, BJ knows the Madison dance scene well. He can frequently be found at BAM dances improvising steps in any style, and is always eager to learn, teach, and otherwise enjoy his love of dancing. Cassandra is a competitive dancer and instructor for the Badger Ballroom Dance Team, and is excited to be expanding her teaching to BAM. She is most known for her breadth of knowledge, having experience with both leading and following all four styles of competitive ballroom dance. Cassandra is a detail-oriented and technical instructor who has taught dancers of all levels, but most enjoys helping beginner dancers learn more advanced concepts. Alex started social dancing eleven years ago and never stopped. A versatile dancer who both leads and follows, Alex has taught for BAM since 2016 and now teaches beginner Latin for the competitive team. In addition to her instructor duties, she happily serves as BAM's Secretary and PR Elf. BAM has for many years been proud to welcome Eric and Deborah Gillitzer to our dance floor. Professional instructors from Dance on Air studio in Madison, the Gillitzers are welcoming and personable, excellent at instructing in nearly any style BAM has to offer, and able to teach both beginner and advanced crowds. Pete is mainly known in BAM for his swing skills: West Coast, East Coast, Hustle, Charleston, and other like dances. West Coast is his area of expertise: Pete currently serves as President of the Madison West Coast Swing Club and has won titles in the style. However, Pete also dances nearly every other style of ballroom that BAM plays, having served on BAM council in the past and frequently teaching for us in the present. 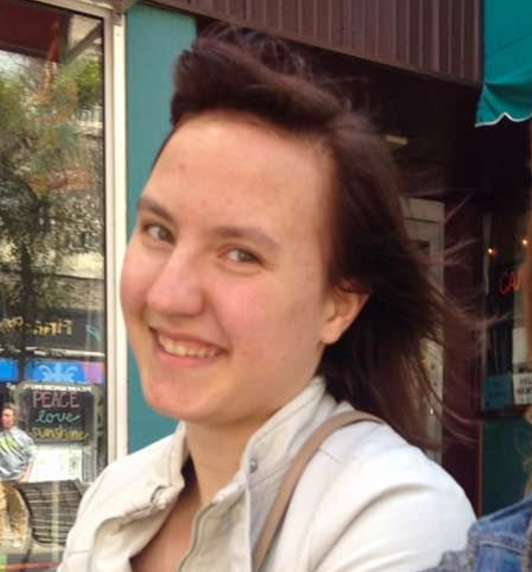 A fun and interesting personality, Masha has been with BAM for many years, and taught for us on various occasions. Her best dance is the intricate Salsa Rueda, but she also is skilled in nearly every other style of dance BAM plays. Masha has never had formal dance training, but has despite risen through the ranks to be one of our best-loved instructors. Anna has taught frequently for BAM in the past and is well-loved as a passionate and dynamic instructor who frequently wins dance competitions with her dance partner Eugene. 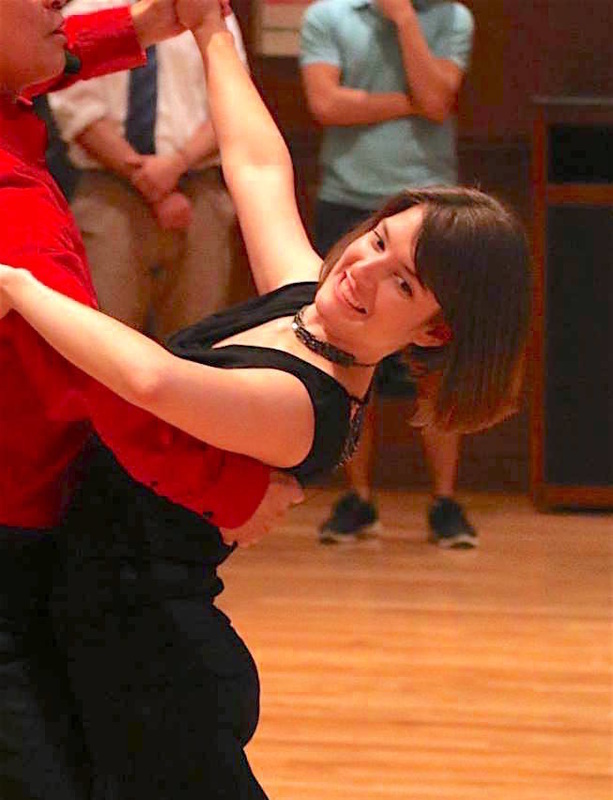 Extremely welcoming to beginners and easy to learn from, Anna is knowledgeable in just about every ballroom style, and loves to share her skill with the rest of the BAM community. Dallas is currently an instructor and competitive dancer with the Badger Ballroom Dance Team. Due to his competitive background, he has more knowledge on international styles of ballroom dance rather than the American social dances. However, he is happy to share what he knows with anyone who wants to learn. A great technical instructor, Jake, who dances with the Badger Ballroom Dance Team, only occasionally instructs for BAM. Glad to help newer dancers cross the bridge to more advanced skills, Jake is a favorite for intermediate lessons or anything that takes careful attention to technicality. Impressive in his technical skill and goofy personality, Eugene is a combination of advanced knowledge and fun personability. 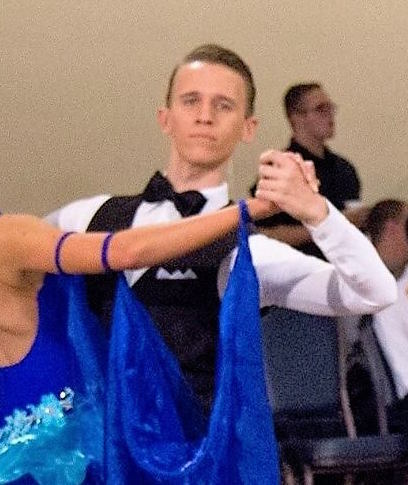 Along with his dance partner Anna, Eugene frequently wins dance competitions with the Badger Ballroom Dance Team, and his and Anna's routines are always some of the most looked-forward-to of the BBDT showcases. 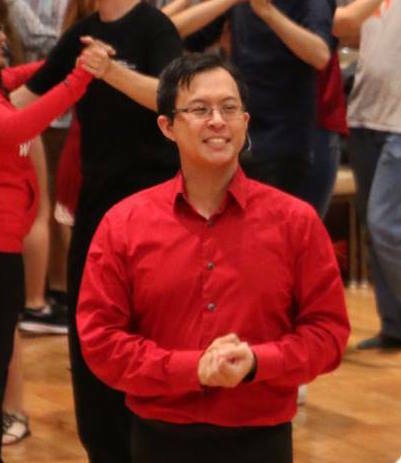 Eugene is also one of the most welcoming for newcomers to dance with, always willing to help anyone further their love of ballroom dance.